Imagine you have read really helpful or funny post. Right away your eyes try to catch the social networks' button bar on the website to quickly share it with friends or just show in social pages. That's a very familiar situation, isn't it? This simple set of actions is a normal part of our daily life. But let's look at this from the angle of WordPress' blog and website owners and find their benefits. The worldwide stats from January of 2017 claims that over 3 billion users have logged into social media accounts. Accordingly, about half of our world spend some time on the Internet daily, and let's agree it will be silly not to take advantage of it. Raising awareness of the company - another user will see and know about company via friend's likes and shares. More favorable perception - social pages make company "closer" to people. In addition, the comments of real people inspire confidence. A better understanding of customer's needs - it is considered that social networks help to target audience and know the preferences of customers. Increase the traffic to company's WordPress website - it is a little bit indirect advantage, but so effective and useful! Of course, it was just the little. Besides, if compare the traditional marketing methods with social media marketing you will surely be a lot surprised that in addition to common advantages that you gain, it has much cheaper cost. Recent years the statistics that was dedicated to the importance and role of social networking in people's lives, displays that about 94% of adults (18-34 years old) like to follow brands on their pages in social networks (www.marketingsherpa.com). This impressive number is growing day by day. So, it is not weird that big and influential companies prefer to spend money on online advertising and generally on social media marketing. Nearly each self-respecting company has social accounts in top networks. They use it as a space to update their news, share new products and to stay in touch with their clients. Other stats (from the source Ambassador) claim that 71% of consumers who have a positive service experience via social media are ready to recommend a company to others. This means that the role of social network is becoming more valuable and serious. It would be right to mention the importance of feedback which social networks propose. Majority of companies have special workers who run their social accounts and get feedback, follow comments or provide quick assistance. This type of connection allows to be aware of all changes and adjust clients' desires. 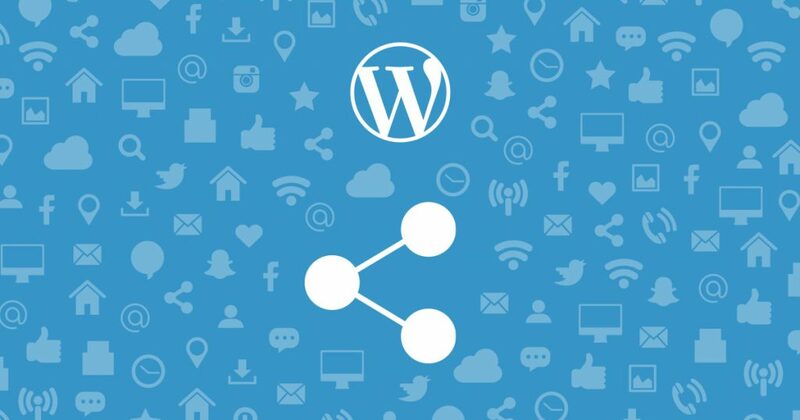 Global platforms as WordPress offer skilled and effective plugins to organize the sharing of information via social networks in many simple ways. Tools as Aparg SmartSocial are aimed to make a process of social media's sharing, following and subscribing features considerably easy. Eventually, with Aparg SmartSocial you get great benefits with minimal effort, cause this kind of WordPress plugins will do all work instead of you. Analyzing all, the social networks are a really huge field for advertising and promotion. In the case of correct usage, you will get a vital benefit and sizable profit. So, do not miss your chance!